Father Michael is a native Staten Islander. He grew up in the parish of St. Adalbert’s and attended St. Adalbert’s Elementary School. Father Michael went on to graduate from Monsignor Farrell High School and studied at the Catholic College of the Immaculate Conception in Douglaston, New York. He then graduated from St. Joseph’s Seminary in Dunwoodie. Father Michael was ordained a priest in 1985. Father Michael’s first assignment was as Parochial Vicar at St. Charles on Staten Island. He moved to St. Patrick’s in Yorktown Heights and then returned to Staten Island as Parochial Vicar of St. Clare. In 2000, Father Michael was named pastor of St. Joseph-St. Thomas, a position he held until he became pastor of the newly merged parish of Assumption-St. Paul in 2007. In 2016, Father Michael became the pastor of the newly merged parish of St. Peter and St. Paul and Assumption. For 10 years, Father Michael was a part of the Liturgical Commission of the Archdiocese of New York. He is a fourth degree Knight of the Knights of Columbus and is presently the chaplain for the Richmond County Holy Name Society. John A. Fodera grew up in Meiers Corner, where he attended St. Rita’s Elementary School as well as St. Peter’s Boys High School. After St. Peter’s, he earned a bachelor’s degree from St. John’s University and a master’s degree from Georgetown University, both in political science. He took a teaching position at St. Peter’s after graduate school and served as chair of the history department, dean of discipline and assistant principal before he became the first lay principal in 1990. After 50 years of service at St. Peter’s, Fodera was appointed the school’s very first president in 2017. In his role as president, Fodera is involved with connecting to St. Peter’s alumni, as well as the greater Staten Island community, along with nonprofits and foundations, in an effort to raise funds for the St. Peter’s endowment fund. He currently lives in Castleton Corners with his wife, Barbara. A graduate of St. Peter’s, Michael Cosentino is an Eagle through and through. His older brother is also a graduate and his father served as the head varsity football coach for 16 years. 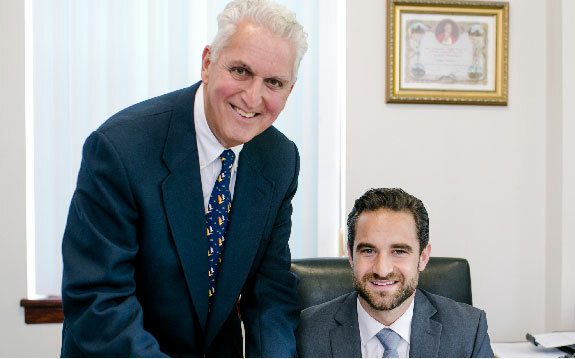 Cosentino received his bachelor’s degree in sociology from Stony Brook University, his master’s degree in education for school counseling from Long Island University and his post-graduate advanced certificate in school administration and leadership from the College of Staten Island. 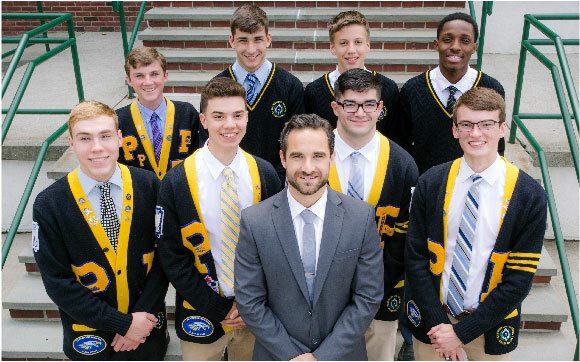 Before joining St. Peter’s leadership team, Cosentino worked at Moore Catholic High School on Staten Island as the 12th grade guidance counselor. In the past six years, he has also served as a football coach, health teacher, dean of discipline and assistant principal of discipline. He currently serves as principal of St. Peter’s Boys High School and lives in Staten Island with his wife, Angela and their three children. John Reilly Walsh graduated from St. Peter’s Boys High School in 1984, earned his Bachelor’s Degree in Management Systems from Rensselaer Polytechnic Institute and his MBA in Finance from St. John’s University. Walsh was also awarded a Chartered Financial Analyst (CFA) designation in 1996. Prior to joining St. Peter’s, Walsh held several positions in the financial services industry at Citigroup, Prudential, JP Morgan and Merrill Lynch. Walsh was also an adjunct professor in Finance at the College of Staten Island. Walsh returned to St. Peter’s in 2008, where he started his career as a teacher, covering subjects such as macroeconomics, government, business law, investments and English. He went on to serve as chairperson of the social sciences department. He currently serves as assistant principal of St. Peter’s Boys High School and lives in Staten Island with his wife, Christine and their three children. Mark DeCristoforo graduated from Monsignor Farrell High School with the highest honors. He went on to earn his bachelor’s degree and master in business administration from Wagner College. He finished with a thesis for a masters in secondary education at St. Johns University and will receive his master’s degree upon completing his certification tests. DeCristoforo served as the varsity football assistant coach at Monsignor Farrell High School, helping the Lions reach the Title Game in 1998, 1999, 2000, 2003, 2004 and 2005. The team won the CHSFL Championship in 1999 and 2000. He also served as the math teacher at Monsignor Farrell High School. After joining St. Peter’s as the varsity football assistant coach as well as the math teacher in 2011, DeCristoforo became the head football coach in 2013. He received the Staten Island Advance’s Staten Island Coach of the Year award in 2013, 2014 and 2015, the MSG Varsity New York City Coach of the Year in 2014, the New York Jets NFL High School Coach of the Week in 2014 and the 2016 New York City CHSFL All-Star Head Coach Award in 2016. In 2017, DeCristoforo assumed the role of director of football operations. Currently serving as the dean of discipline, DeCristoforo lives in West Brighton with his wife, Meg, and their four children.